Image Search Optimization- Do you need it for Your Brand? Digital marketing is the trending way to promote any business in contemporary times. If you are looking for ways in which you can make sure your business gets a boost, then digital marketing can be your best bet. Since millions of people across the globe use the internet for every day to day work and smartphone is the best solution to everything today- digital marketing has gained all the more potential. Everything that we need is available on the internet, and people rely on the internet a lot. There are various innovative solutions to digital marketing, and if you are creative enough, you can easily make sure that your company is being boosted with unique plans and programs of the experts. 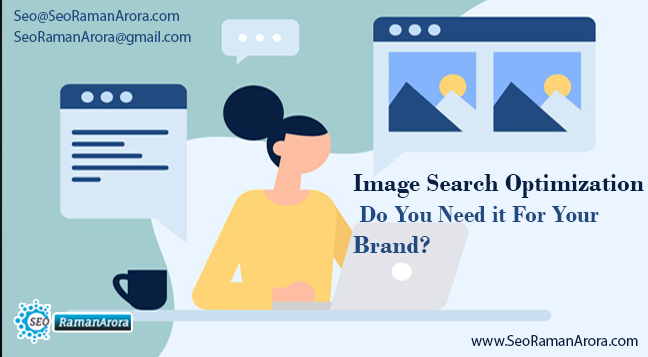 Image search optimization is a great way to make sure that you are getting the right traffic from people who can become your prospective client. You must implement this for your site to get the best results in search engines. What is Image Search Optimization? As the name suggests, the image search optimization is a great way to search up the content based on the image. The various websites use many images to enrich their content. Often when people are looking for images specifically in the Google images, they can come across the images of your website, and when they click on it, they will be redirected to your website. This is why it is important to optimize the images as well so that when someone is looking for a relevant image; your website’s images come at the top of the list. Here we are going to discuss and outline whether your brand needs image search at all or is it only suitable for a specific sector of the industry. You will also be able to learn ways in which you can optimize the image search for your website from the various pointers shared here. It is very important to understand what the advantages of the image search optimization are when you have a clear idea about how the image search optimization works and the benefits associated with it, you can easily implement it for the benefit of your company. When your images are optimized, the people who are searching for you can easily find you even through the Google images. Many people get attracted to the content by checking the images first, and if you have a well boosted and quality images related to the website, you can rest assured that it will drive the traffic to your website. Another major advantage of the image search optimization is that it is easily done, but you will be able to get an optimum result out of it. The social media pages of the company have the maximum number of images, and when it is optimized, you can easily find out more about the website and the business through them as the social media images to are available on the Google search. Often people have the image but are unable to tell what it is. The reverse image search feature of Google is a great option to help us out when we have such confusion. The reverse image search works in a pretty straightforward manner. First, the user uploads an image they have in the respective field in the reverse image search. They click on the search button, and the exact matches, as well as a closely relevant image all, are displayed to the users. When your images are optimized, it will show up easily as relevant images when someone uploads a relevant image to look up its source. Also if it is an exact match of the content available on your website, then your website will also get optimized through it. Almost every website has some images and reverses search will make sure that you can get the most out of it. More and more people today are relying on the reverse search feature to find out all the various types of sources that are available on the internet. For egg. If you have a fashion boutique online, and someone is conducting a reverse search looking for a specific type of skirt, if your website features similar images regarding design and color, it will be displayed as relevant. Does every business need it? You may wonder whether you at all need the image optimization for boosting the SEO of your website. Enovarius Houston has the perfect services to ensure that your website is well boosted b the images you have. But every type of business does not operate based on image boosting as they do not need the image as content to attract users. For, eg. If you have a law firm, there are chances that you will only need images of the lawyers working there and nothing else. The content in writing is more important for an attorney business. On the other hand, if you have a website for clothes, accessories or cosmetics, the content is primarily image, and it has to be optimized to make sure that you are getting the best traffic possible. The images should be clear and depict the true colors of the products to make sure that you can get the clients and the leads that are coming to your website because of the images. There are different types of companies and businesses, and if you are looking for image optimization, it is important to determine whether it is suitable for you. The professionals can help you out with the right type of SEO solutions that are perfect for your company. You can get customized services too, and the image optimization services are usually offered when you need it. It can be concluded that the image search optimization is a service that depends on the type of product you sell and it must be chosen accordingly. The best way to understand whether you need it is getting in touch with the professional and seeking their advice.